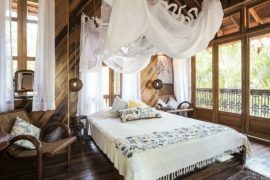 The idea that a home draped in tropical style feels like a delightful getaway and brings a hint of that exotic goodness indoors is the reason why so many homeowners are willing to give it a shot. Tropical style, though, is not singular and monolithic, and there are many different versions and strands of this broad style that vary greatly. It depends largely on your inspiration, the region of the world that you have drawn the different elements from, and of course, the uniqueness of your own home. 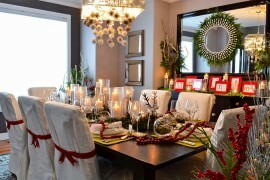 And a good place to start experimenting with tropical style is the dining room! 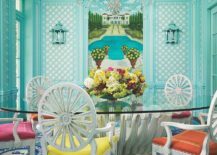 The tropical dining room is generally filled with color and effervescence and is a far cry from the more traditional and formal dining rooms that seem all too serious. There is a certain understated ‘playfulness’ here that you simply cannot miss. 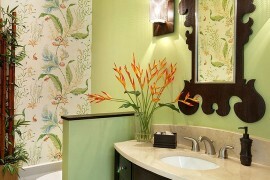 Of course, the bright and bold patterns and splattering of green add to the richness of the setting as well. 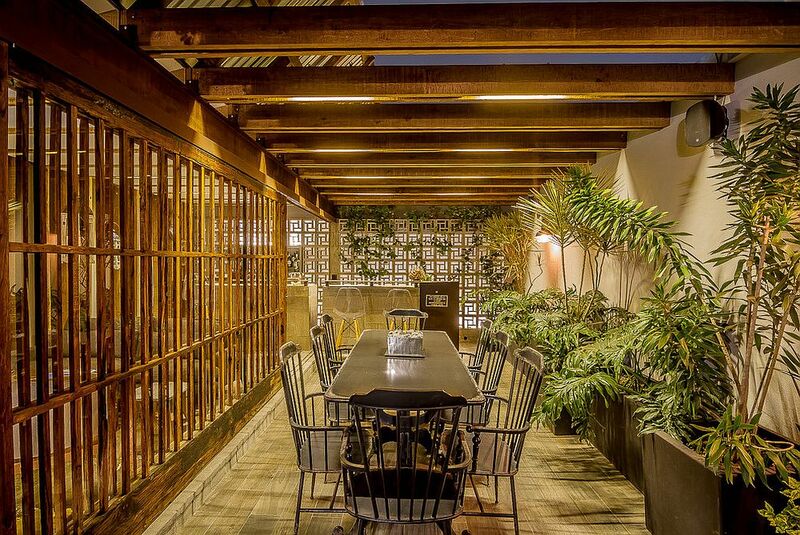 So, why not move away from the mundane and give the tropical dining room a shot? 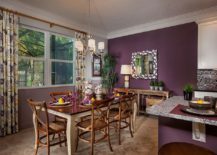 One of the great advantages of a tropical dining room is the wide range of colors that you can turn to without feeling that it is all too gaudy. 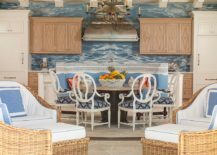 Even though the contemporary trend is to keep the backdrop neutral and add bright accent hues, tropical dining rooms can conveniently and effortlessly break this stereotype. A dash of turquoise coupled with white and pops of red, green and yellow does usher in a cool and fun tropical flavor that is inspired by the endless beaches and amazing wildlife of the Caribbean and its surrounding region. 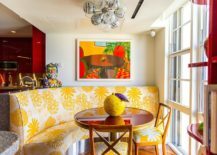 Those who want to draw inspiration from the tropics but wish to move away from the typical shades of green and blue dominating the dining room can try out yellow as an alternative. 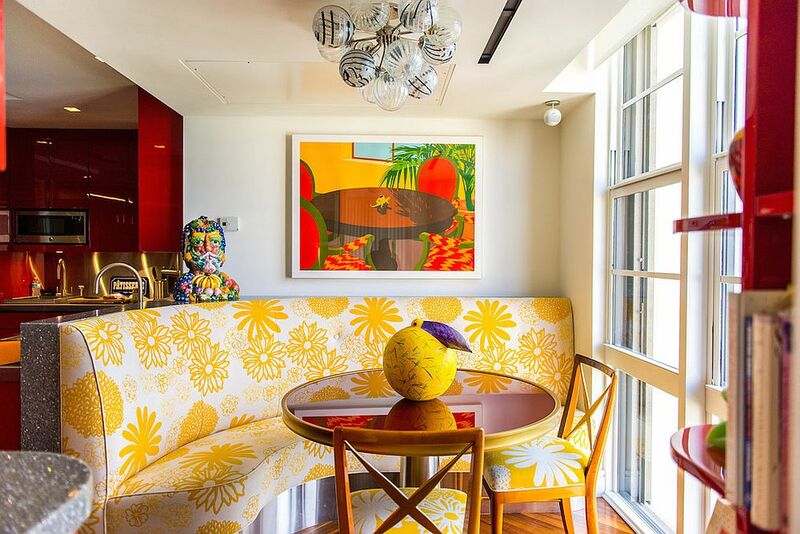 This is a color that never goes out of fashion and gives even the tiniest of dining spaces and breakfast nooks a sunny, refreshing vibe. 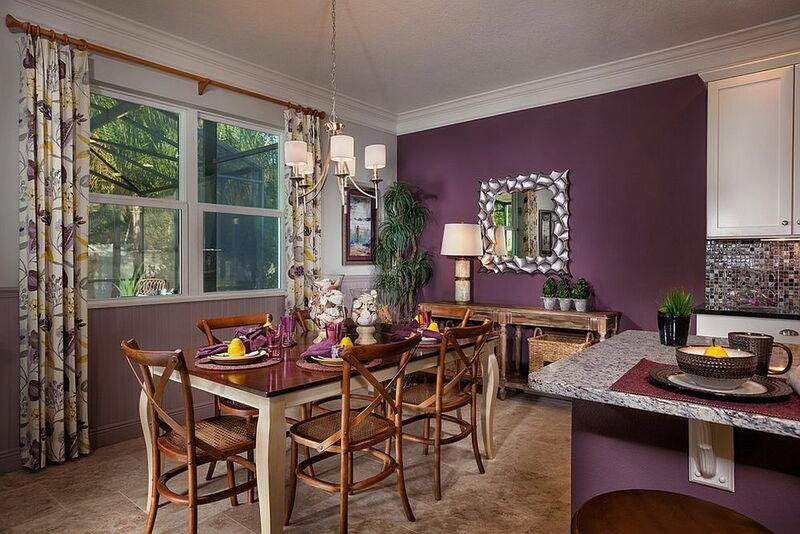 Purple is not a color that is usually associated with tropical style, but this exquisite dining room makes it work by combining this bright color with indoor plants, drapes that add a flowery pattern to the backdrop, and décor that seems distinctly tropical. 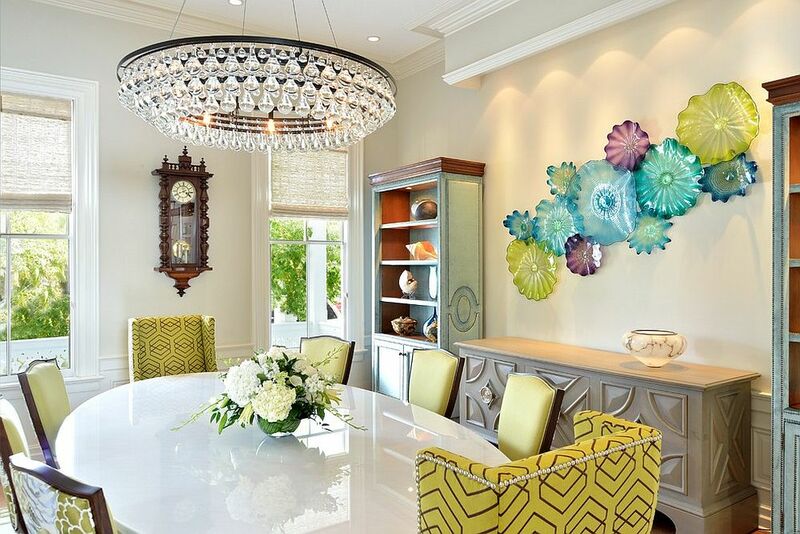 The mirror in the backdrop with its unique frame also accentuates the subtle tropical vibe of the dining area without going overboard. 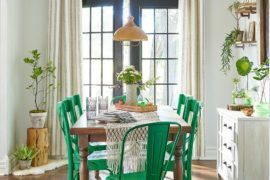 A touch of greenery is an absolute must for the tropical dining room, and it can be added in a wide variety of ways that extend beyond refreshing indoor plants. 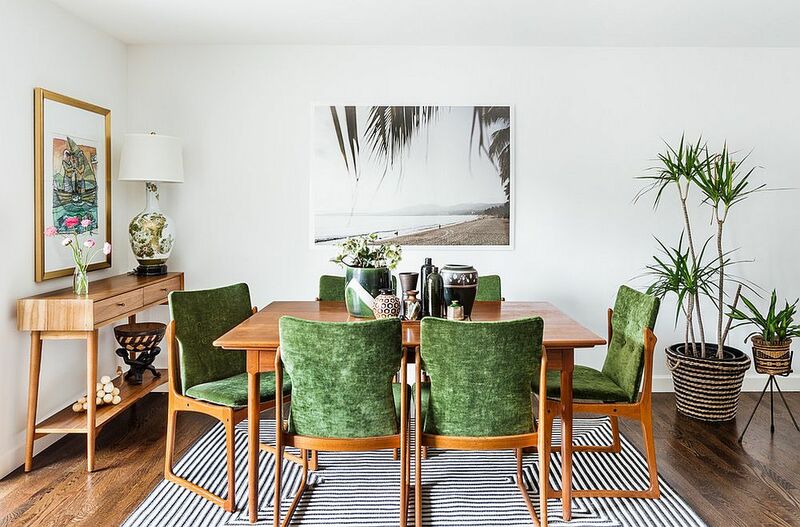 Wallpaper that evokes images of large palm and banana leaves is a fun choice and does give the dining room an interesting backdrop. 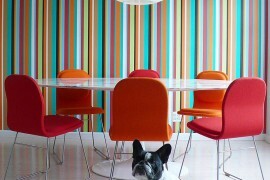 Custom wall murals and decals also come to aid here and enliven the dining room with color and contrast. 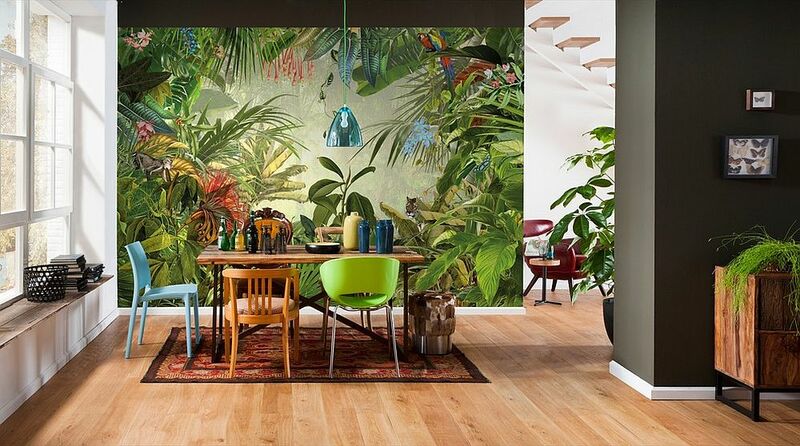 Even if you have a bold and leafy wallpaper, we suggest you still consider adding a ‘tropical plant’ in the dining room corner for added radiance. 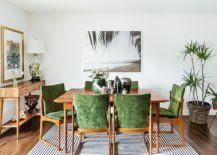 Window shades, curtains and rugs can also give the tropical dining room a green tinge or even create a smart background with flowery patterns. 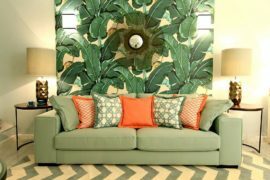 Tropical style also lets one blur the lines between the interior and the outdoors with a lush green garden or tropical-style poolscape becoming a visual part of the living room. 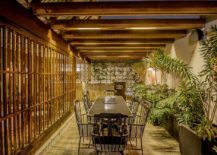 No matter which path you choose, make sure there is plenty of natural goodness that surrounds your tropical dining room! 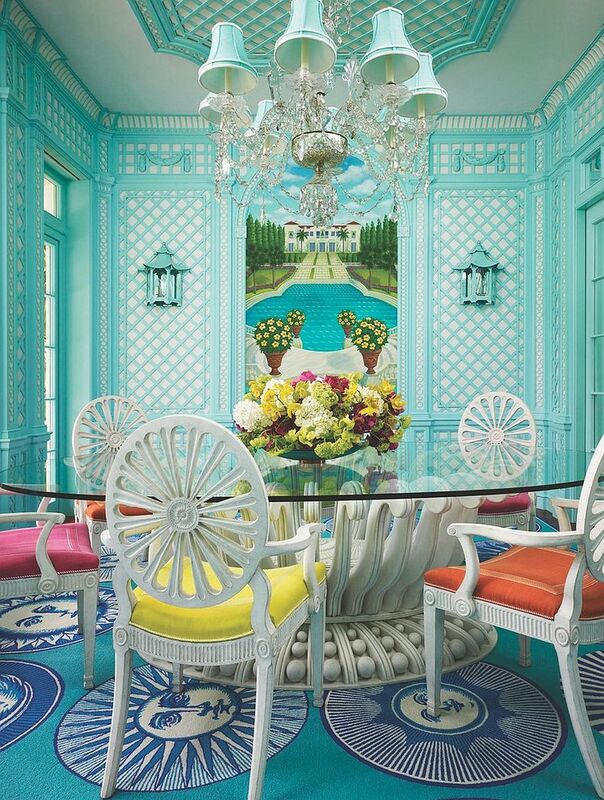 As always, we finish today’s roundup of tropical dining rooms with inspirations that combine this effervescent look with other styles in a crisp and curated fashion. 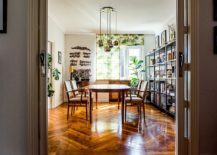 Surprisingly enough, the clean lines and warm wooden décor of midcentury style seems to complement tropical overtones in the dining room to perfection. 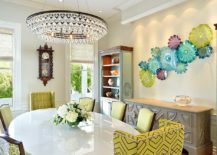 A heavy, midcentury-style buffet or credenza adds elegance to the room and seems to anchor it, even as its tropical touches give it a more exuberant appeal. 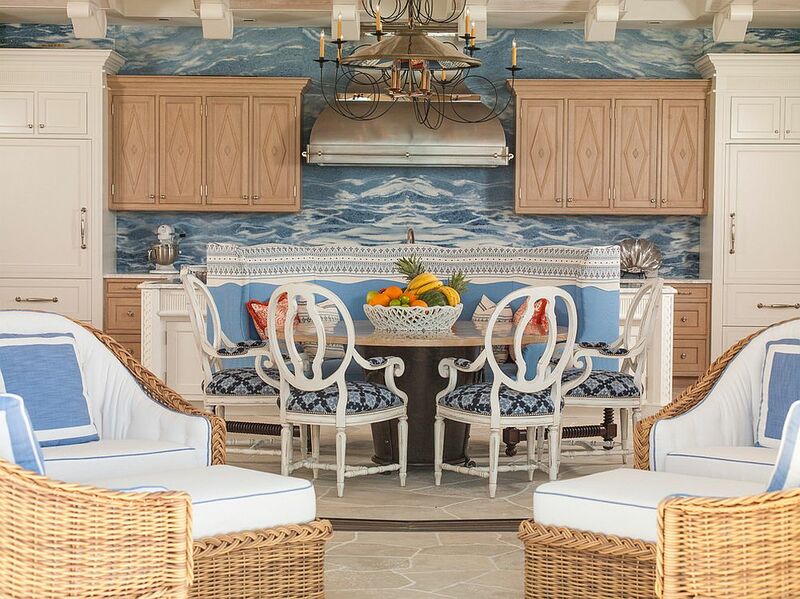 You can even add contemporary and coastal flair to these rooms without disturbing the original style too much. 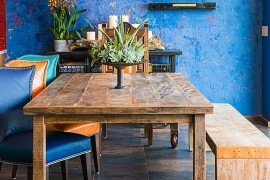 Even styles such as Bohemian seem to blend in with tropical settings beautifully when done right. 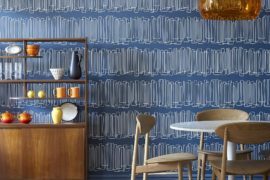 With a style as expressive, vibrant and diverse as this, one thing that your dining room will never ever be again is boring!